“Graduation from sweaters to wash cloths! 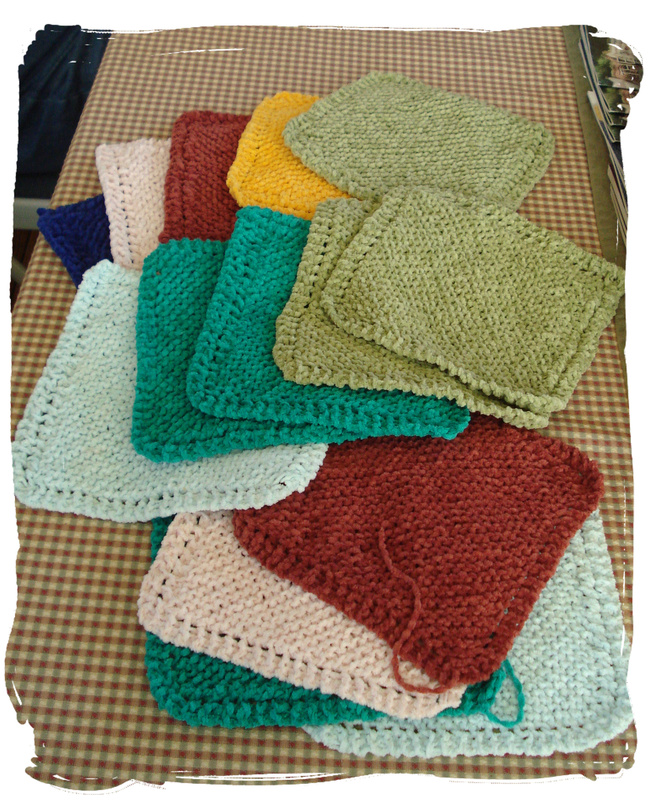 Just the other day Marsha from our Saturday morning knitting workshop laughingly said, “I’ve made great progress…I’ve graduated from sweaters to wash cloths. !” And it’s interesting that so many of us have done the same thing….Susanne, Eleanor, Diane, Terry, and myself to name a few. The wash/dish cloth that is garter and knit on the diagonal is a quick and comforting knit….great for those moments when you want to knit but can’t concentrate because of conversation. I’ve just completed four. Check out Terry’s….she bought cotton chenille and a week later she had enough to decorate a bathroom and then some.